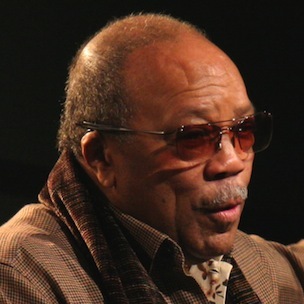 In an interview with Us Magazine legendary producer Quincy Jones brushed off a Kanye West comparison they made. After the interviewer said “Kanye West is similar to you in that he’s the producer everybody wants to work with in the last decade….” before Quincy cut them off. UPDATE: Quincy Jones posted a response on his website to ensure people he meant no disrespect to Kanye West.